School is back in session and the teachers and children are back in the classrooms. I am not ready to let go of the summer memories. I will include a picture from the beach with my niece. When summer comes to an end we have to hold onto our memories and traditions. My father has a BBQ every year with his grandchildren. Myself and my brother and his children will venture out to his house tomorrow. We will all go in his pool and have lobsters as usual. My brother I know will cook some ribs in the smoker and a great time should be had by all. 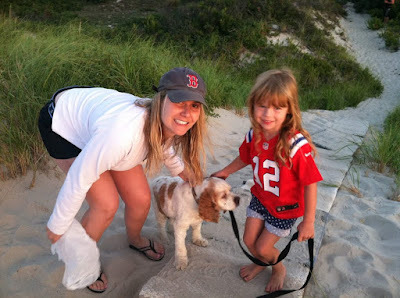 I have included a picture with my niece from several years ago during a family vacation to Cape Cod. I really enjoyed the experience of being with family in the beautiful scenery of a vacation. I am hopeful that we will go again in the future. We have to plan another vacation in the future so that we can build memories with my brother’s kids. It is incredible to witness how quickly kids grow up. At the end of the day my brother and I have incredible memories from our annual trips to Cape Cod. Seeing my brother with his family is really incredible. I am witnessing my brothers family growing up before my eyes. I love that I am part of their lives. Family is a gift and I am very lucky to have one. This weekend hopefully will be good weather so we will have one last summer Saturday in my Dad’s pool. The kids are very fortunate because their cousins have pools as well so they get to go to many houses to go in pools. My niece has the same heart as I do and she adores animals. I am watching her grow up with her animals as I did. I think that memories and animals are huge parts of childhood. My brother and sister in law are doing a fantastic job in raising their children. My niece and nephew are very close to my father’s dogs as well. I will report back next week as to how the weekend goes and I hope that you truly enjoy your weekend!